of Rockhurst’s unique approach to assisting them in finding success in their careers. We encourage you to call client references. We will endeavour to put you in touch with former clients with similar backgrounds and career situations to your own. 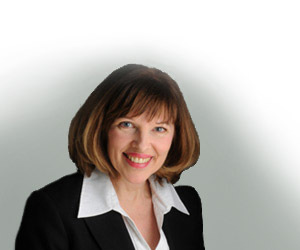 Céline has provided career management, communication consulting, vocational training and life coaching for executives in the regions of Montreal, Quebec and Ottawa-Gatineau for over 15 years. Her main mission is to guide people bring out their potential, develop it and enhance it. She has helped a wide range of professionals from a variety of environments in the private and public sectors. With a master's degree and doctorate studies in literature, Céline taught oral and written communication, and now applies her fine expertise in strategic resume writing, interview preparation and career transition. In the 90s, she founded and ran her own business l'École de langue française de Québec. Concurrently, she managed cultural projects, organized events and exhibitions. Céline studied philosophy, educational psychology and is certified to administer and interpret psychometric assessment tools: Myers Briggs Type Indicator (MBTI), Strong Interest Inventory and GROP. Guest speaker invited by various departments, enterprises and training centers, she conducted workshops on leadership and self-knowledge. Employee of the School of Public Service of Canada for five years, Celine taught French as a second language to senior executives of several departments, government agencies and organizations to succeed in their interviews and professional competitions in French. Throughout her career Céline has helped hundreds of people find their life mission and achieve their career goals.